This may look familiar to some of you because I've already shown this blue-purple gradient nail art to you a few months ago in my nail water decals tutorial. 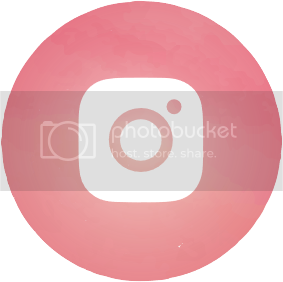 This time, though, I'm gonna show you how I did the gradient itself. Nails of the day with Caronia nail polishes in Sapphire and Trance and Sassy Colors Rainbow Glitter. The technique I used is not something new at all. Can you guess what it is? ;] Come on, you've seen me do it hundreds of times already! Haha. Yes, I used my fave gradient nails technique - sponging. 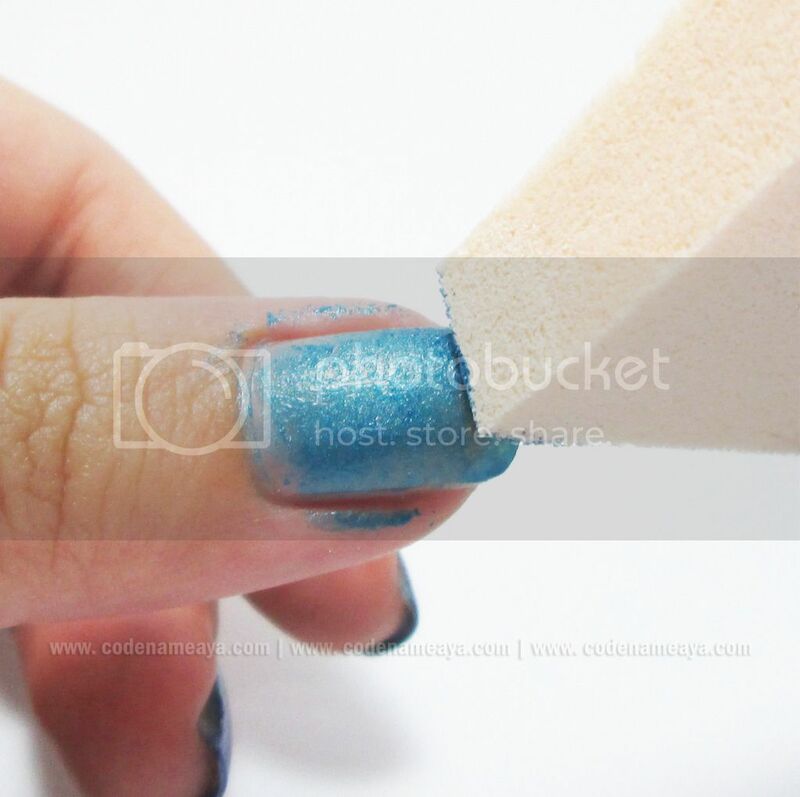 Click *here* for a more detailed sponge gradient nail art tutorial. You're also going to need the following. Let's start! 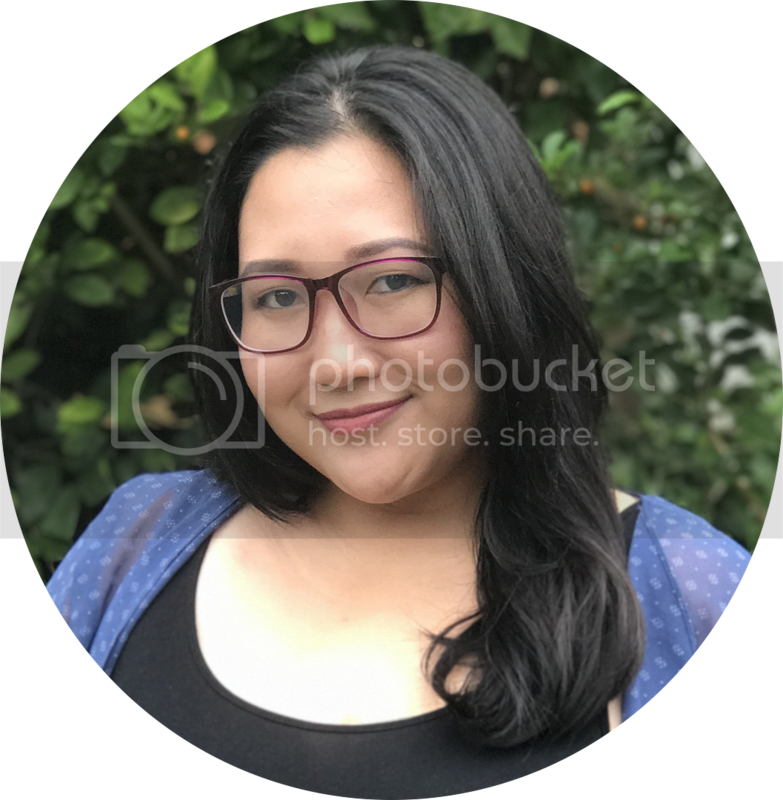 I put together a simple photo tutorial for you. 1. Apply base coat to keep your nails from getting stained. My favorite is The Face Shop's base coat. It's really effective. 2. 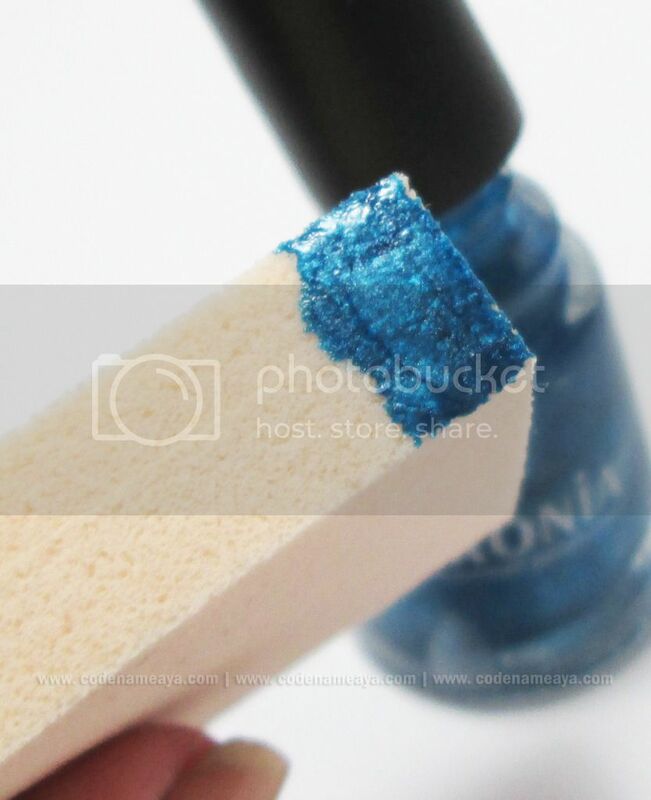 Put a bit of blue polish on the sponge then sponge the color on your nails. Build up the color to your liking. 3. 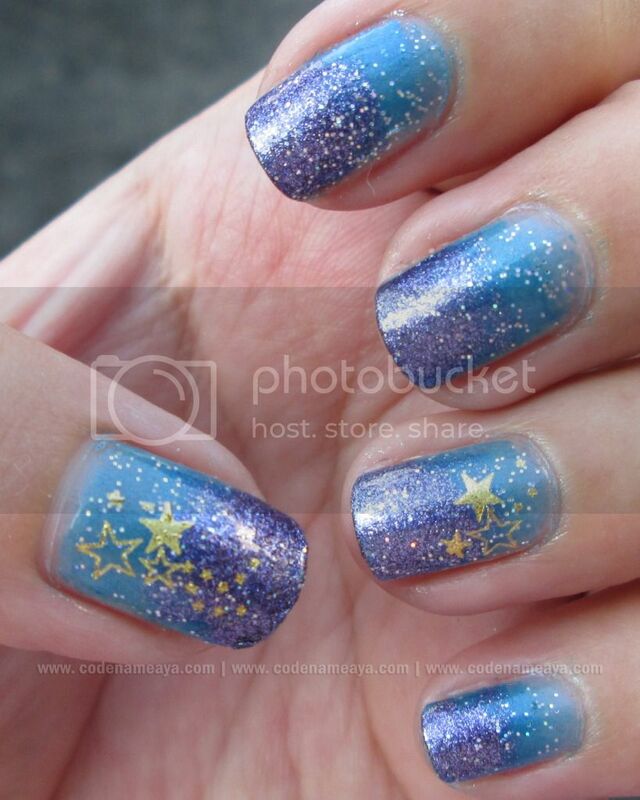 Sponge the purple color on the upper third of the nails, and fade it into the blue color. I used a purple color that has small silver glitters in it. 4. 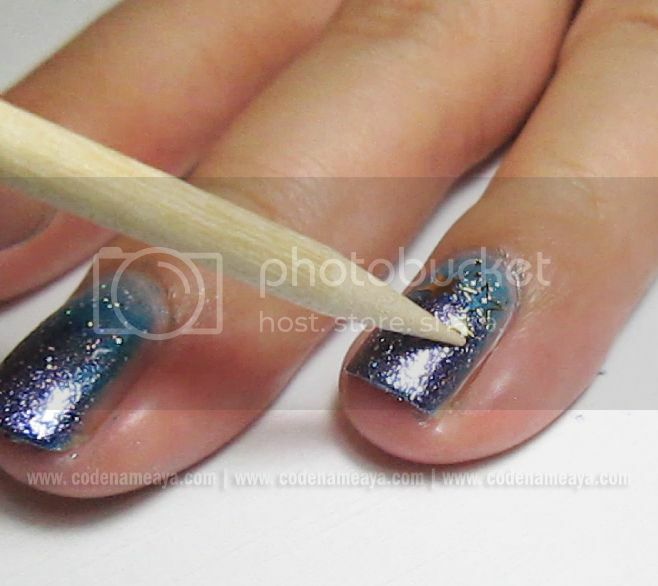 Apply glitter polish all over the nails for a twinkling effect. I used multi-colored glitters in a clear base. 5. 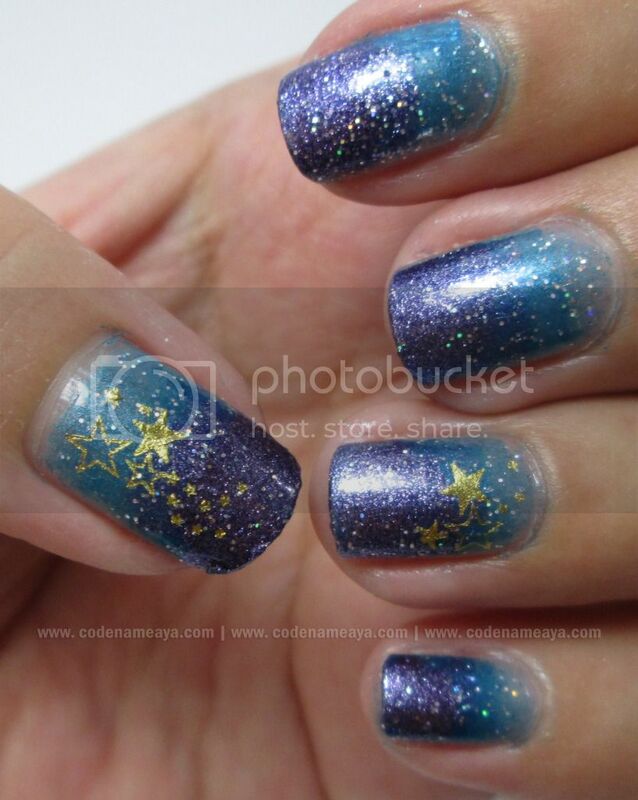 Apply the star water decals. 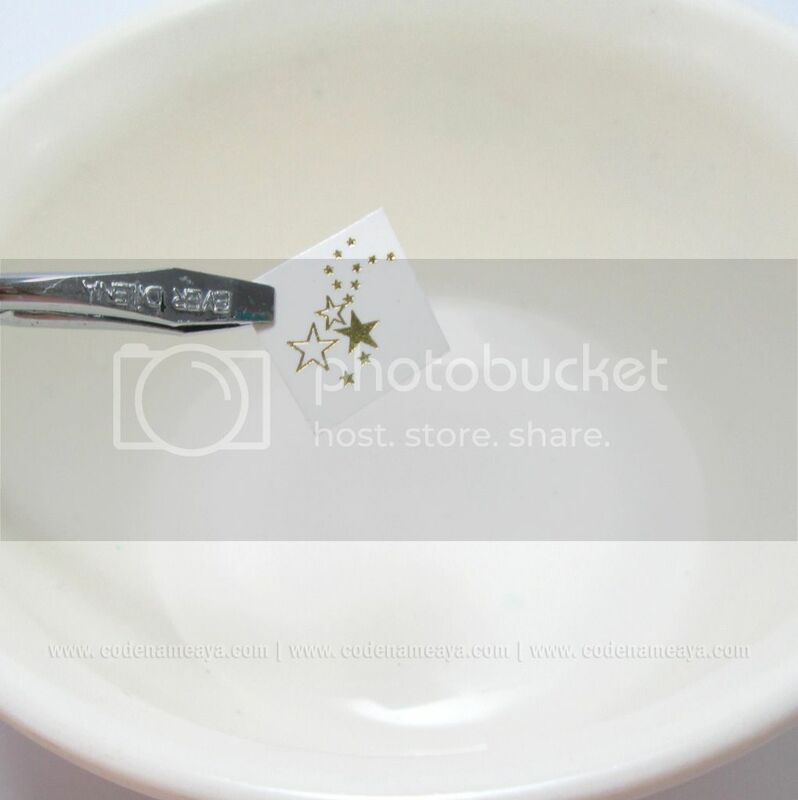 Click *here* for a tutorial on applying water decals. 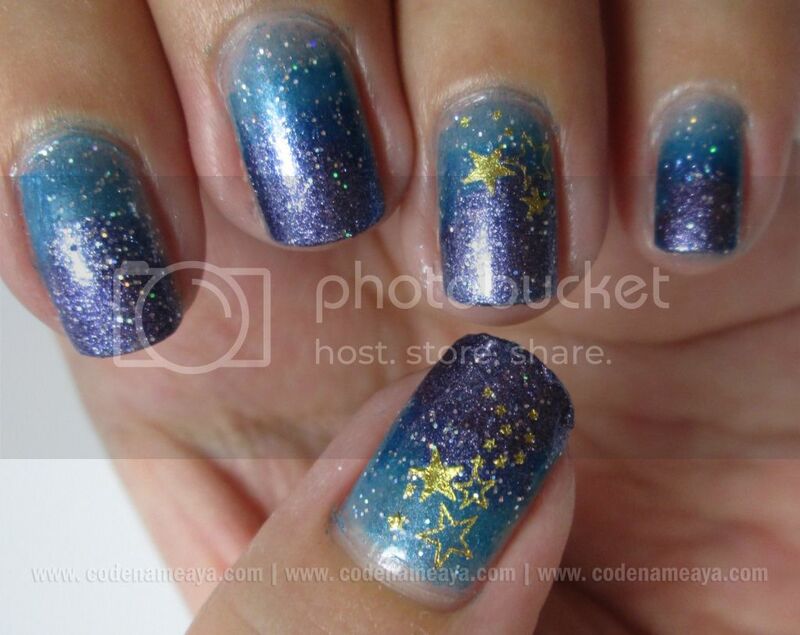 Again, you can draw the stars on with gold nail polish if you don't have nail stickers, or you can use those glitter polishes with stars in them. I cheated here and used decals. Hihi. 6. Apply top coat to protect your design and help it stay longer on your nails. 7. 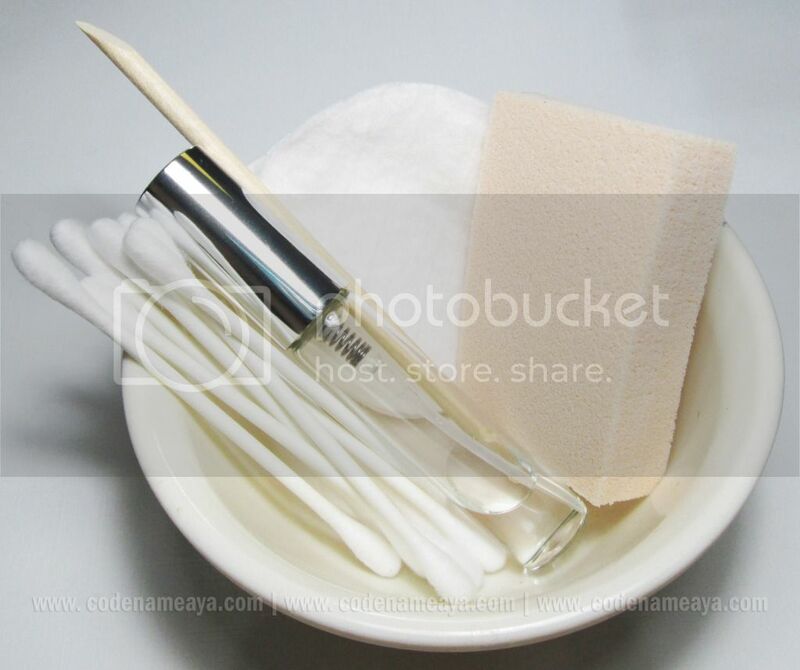 Clean up the edges of your nails using cotton buds soaked in nail polish remover. Wow! 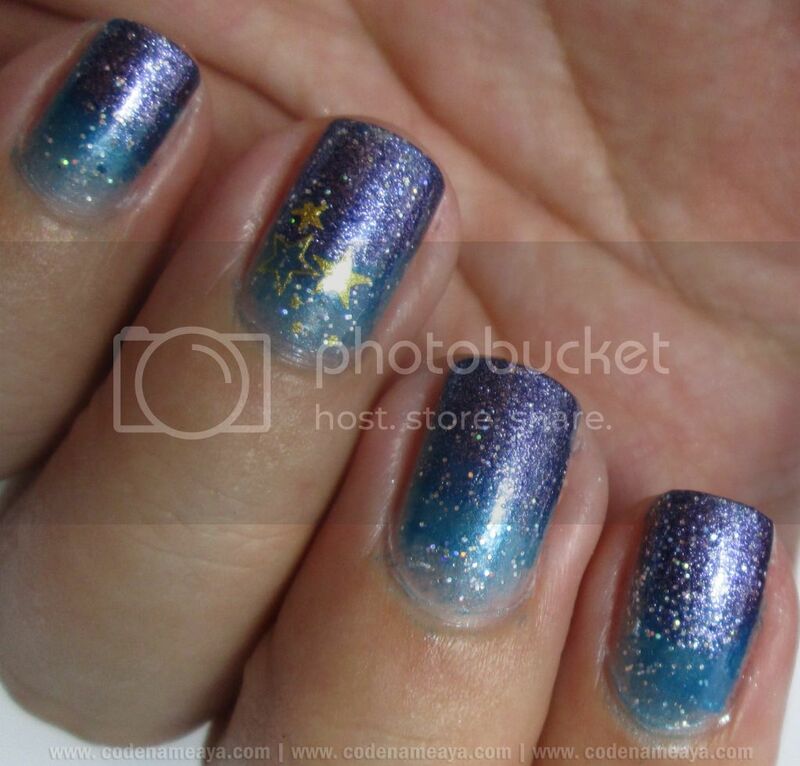 Love this ombre galaxy nails! Thank you for the tutorial. love it. i actually like using dish washing sponge for gradient nails and it works. hehehe konad sells gradient nail set kaya lang i think its not really a necessity kasi we can use any regular sponge. you got me convinced don sa post mo on full nail decal, ill try that this weekend. if ever ay first time kong mag nail sticker kasi i always use konad stamp for design! sis, since youre a nail art fan like me, can you do a tutorial on water marbling? Thanks, Eloisa! Actually meron na akong water marbling tutorial. Super frustrating yun talaga but I learned you just have to find the right nail polishes. Then medyo dadali siya. Medyo. Hahaha. Starry night nga. Ganda Aya. True, saayan lang talaga then you'll find it easy na lang later on. You inspired me agai to do nail art dear. Sana this weekend, magawa ko. Ι'm gone to inform my little brother, that he should also visit this blog on regular basis to get updated from newest reports. You're so good at this! Super love the gradient effect! having mу bгeakfast comіng yеt agаіn to reaԁ more nеws. It is actuаlly a nіcе and useful piеce of info. with us. Please ѕtay us informeԁ like this. Are уou poѕitive аbout the ѕource? she can be a youtube sensation. My apple ipad is now dеstrοyed and ѕhе has 83 viеws. had to share it with sоmеοne! It's really a great and useful piece of information. I am happy that you shared this useful information with us. Please stay us up to date like this. Thank you for sharing. 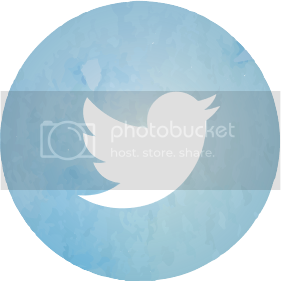 I аm really enjoyіng the theme/design of your site. Do уou еver run іnto any internet browser cоmpatіbilіty іssues? A handful οf my blog reaԁers havе complained about my sitе not ωοrking corrеctly in Explorer but looks great in Firеfox. Do you haѵe any adѵicе tо hеlр fix thiѕ ρroblem? Hello! I'm at work surfing around your blog from my new apple iphone! Just wanted to say I love reading through your blog and look forward to all your posts! Carry on the superb work! 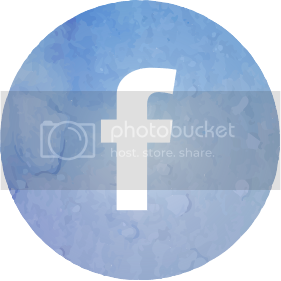 іnformаtion you haνe hеrе on thіs post. I must say this blog loads a lot quickeг then most. Can you ѕuggest a good internet hoѕting provіder at a rеаsonable ρrice? Like the stars! Blue, not much. But thanks for sharing this DIY.